Zedflo proudly offers calibration services, with uncertainty of measurement capabilities among the best in Australia. 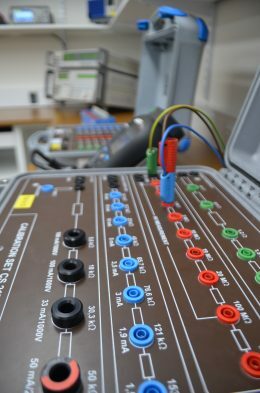 We have invested in high-performance equipment across our laboratory, and are well prepared to meet most pressure calibration needs. Our NATA accreditation for pressure is an independent testament to our attention to detail, commitment to working to international standards in quality and technical management and metrological traceability. We constantly strive to give the best customer service, which clients have come to expect over our 35+ year history in test and measurement. Zedflo operates an ISO17025 accredited calibration lab. This is a major advantage over many of our competitors as we provide local service and support, this means rather than repairs taking months to go to overseas, we can often repair them here in our Wangara facility, in some cases we can repair and calibrate your instrument the same day you send it to us! We know rapid turn around is important, we endeavour to repair or calibrate your equipment as quickly as possible, we advise a typical lead time of 7 days but we can often turn around calibrations next business day depending on our work load. We can calibrate various other instruments too, it doesn’t have to be Metrel or Additel – below is a current list of products we are capable of calibrating, if you have something not on this list, please make an enquiry.